Home / JOB VACANCY / EMPLOYMENT OPPORTUNITIES AT SAVE THE CHILDREN TANZANIA: CHILD PROTECTION AND CHILD RIGHTS GOVERNANCE COORDINATOR WANTED. 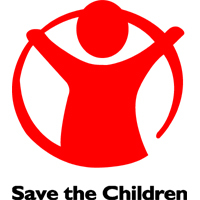 EMPLOYMENT OPPORTUNITIES AT SAVE THE CHILDREN TANZANIA: CHILD PROTECTION AND CHILD RIGHTS GOVERNANCE COORDINATOR WANTED. Zanzibar Representative, to represent and advocate for Save the Children’s work and organizational priorities with a wide range of external stakeholders including government representatives, civil society, children and youth, parents, technical professionals within the field of Law, Education, and Health, academia, donors, and UN agencies operating in Zanzibar. Save the Children has been operational in Tanzania since 1986 providing support to children through developmental and humanitarian relief programmes delivered in support of Government of Tanzania priorities and policies both directly and through local partners. Current programming focuses on child protection, child rights governance, education, nutrition, HIV/TB and emergency response. In 2012, as part of a global reorganization process, Save the Children combined programmes of SCUK, SCUS, SC Sweden to create a single operation in Tanzania. We currently have an operational presence in Dodoma, Shinyanga, Zanzibar, Songwe and Kigoma as well as Dar es Salaam and we also work through partners in other parts of the country. We employ nearly 100 staff and have an annual operating budget of approximately $8 million. Dimensions: Maintains strong linkages with the Technical Specialists for Child Protection and Child Rights Governance, the Sida Core Senior Programme Manager, and the MEAL Specialist amongst others in the Programme Development and Quality team. Strengthen the capacity of partners to effectively contribute to development of a comprehensive and sustainable child protection system in Zanzibar as well as a framework that enables children’s right to participation. Investment in a skilled workforce, in particular in Child Protection, Education, Health and Law. Elimination of all forms of Violence against Children, with an emphasis on preventing Child Sexual Abuse, Positive Discipline, and Positive Parenting. Enhance awareness on child rights among all stakeholders (children, youth, parents, teachers, religious leaders, government representatives, and civil society). Strengthening capacity of partners including children/youth, government representatives, and civil society in developing child friendly budgets. Ensure that programme approaches, objectives and goals are well understood and implemented by Save the Children project staff as well as partners in accordance with priorities set out in the Tanzania Country Office’s CP and CRG strategies and that project information is accurately and promptly communicated with partners. To provide technical support to partner organizations in developing budgets and action plans to effectively implement proposed project activities. Coordinate and conduct trainings with partners, others stakeholders and children on various Child Protection and Child Rights Governance topics as per set out in Key Result Areas above as well as child safeguarding, in order to develop capacities to deliver the programme in the most effective way. Facilitate regular joint field visits as part of backstopping to partners to assist in implementing agreed workplans. Strengthen communication and collaboration with partners at all levels to ensure ownership and sustainability of the programme. Advocate for a comprehensive and sustainable Child Protection system at all levels. Support and ensure effective programme implementation and compile timely quarterly progress reports to donors. Be responsible for gathering the learning from the CP/CRG programme in Zanzibar, including ensuring of documentation and dissemination of good practices across the programme. Ensure synergies and shared learning from project between district, regional and national level and other projects implemented and related. In collaboration with the MEAL team in Dar es Salaam establish and ensure implementation of a strong MEAL system for the CP and CRG programme (MEAL plans, indicators, performance tracking tables, monitoring tools, benchmarks etc.). Contribute to baseline studies, formative assessments, mid-term evaluations, final evaluations and other research studies as well as learning events as part of annual DIPs. In collaboration with MEAL unit, develop process, output and outcome level Quality Benchmarks and regularly review progress on indicators/achievement of targets (LFA). Discuss monitoring findings during program coordination/review meetings, review MEAL reports to highlight key project strengths and areas of improvement, and use learning from monitoring reports for project planning and implementation. Contribute to programmatic inputs for the development of the ToRs of evaluations/baseline studies which include background information and scope of work and proposed methodology. Review accountability to beneficiaries’ data and reports and provide technical support to implementation team using key learning from accountability system for program development, planning, improvement and implementation. Ensure partners in Zanzibar fully understand the provisions of the Child Safeguarding Policy and its three complementary policies (Child Participation, Local Procedures and Reporting Abuse). Ensure the conduct of partners in Zanzibar is in accordance with the rules of the Child Safeguarding policy in their personal and professional lives, which includes reporting suspicions of child abuse. Ensure that Save the Children’s CP and CRG work in Zanzibar (both direct implementation and through partners) is not putting children at risk (or further risk); this means constantly scrutinizing work through a child safeguarding lens and talking to children and other stakeholders to identify about possible design/implementation flaws. Promote the message of child safeguarding to colleagues in other organizations and government ministries, children themselves and beneficiary families and community members in general. Be vigilant about observing possible child abuse/harm in their personal and professional lives. Ensure that all beneficiaries of our programme are receiving on-going, age-appropriate verbal or written information in relevant languages about Save the Children’s Child Safeguarding Policy and Code of Conduct. Experience of designing, managing, monitoring and evaluating child protection and child rights governance programmes, especially Child Sexual Abuse, Positive Parenting and Positive Discipline. Proven abilities in delivering results for child rights and child protection especially Child Sexual Abuse, Positive Parenting and Positive Discipline. Bachelor Degree in Social Sciences or Law. Understanding and commitment to principles of child rights and child protection. Ability to identify the main gaps in child protection and child rights governance in the Zanzibar context to inform a holistic response for children. Commitment to and understanding of Save the Children’s aims and values in practice. Excellent written and spoken English and Kiswahili, including excellent written and verbal communication skills. Experience working in a multi-cultural environment and /or international. Experience of living in Zanzibar. Experience in advocacy, lobbying and training around child rights, child protection and child participation. Ability to maintain consistent high standards of professional behaviour and achievement, including when working alone. Pragmatism, initiative and ability to achieve results despite challenges. Ability to be part of and organize support and develop a small team. Ability to communicate and maintain appropriate and productive relations with a range of actors, including children, parents and local authorities in political and militarily sensitive environments. Experience of working with partners and teachers using a participatory approach. Budget development and financial monitoring skills.